Unlike the infamous song La Cucaracha, cockroaches themselves are not charming. However, despite the insect’s famous name and even more famous bad reputation, many know very little about these creatures and the ways in which to prevent them from taking shelter in your home. As the Third Amendment implies, we have a right to protect our home from unwanted intruders, even if those intruders are little insects known as cockroaches. Having roamed the Earth for around 300 million years, cockroaches have been infesting the homes of everyone from cavemen to your neighbor, Dale. Yet, for an organism that has truly stood the test of time, cockroaches actually have a pretty short lifespan of about one year. You are probably asking yourself, how could something that lives such a short life stay around for so long? In short, cockroaches have certain traits that allow them to stay alive, reproduce, and find shelter for long enough to keep their presences in our lives – kind of like that rock in your shoe that never leaves on its own. They can squeeze into extremely small areas, much like mice and rats. They can survive a week without a head because they breathe through tiny holes in their body, called spiracles. They can survive a month without food. They are extremely fast. Since they are usually the prey of other animals; this is their primary defense mechanism. To give you some specs – they can crawl up to 1.5 meters per second. That is the equivalent to a human running 200 miles per hour. To make matters worse, cockroaches are cannibals. They turn to cannibalism when there is overpopulation, and the food source is very limited (they are on a new level of hangry). Given that they are cool with eating each other, it is obvious that cockroaches are not picky eaters. In fact, will pretty much eat anything around them whether it be fruit, glue, or even feces. A fun and relatable fact about these peculiar insects is that like many of us, they love beer. So the next time you think your roommate drank all your beer without asking, think again because you might just have encountered some cockroaches that like to party. Cockroaches are night owls; therefore they will likely be in dark places in your home. Some likely hiding spots are under rubber mats, within wall cracks, or behind wallpaper. Since, they prefer to stay in darkness, seeing a cockroach during the day can be a sign of an infestation. To check if there is an infestation in your home you can look for these signs. Cockroach feces resembles coffee grounds or black pepper. 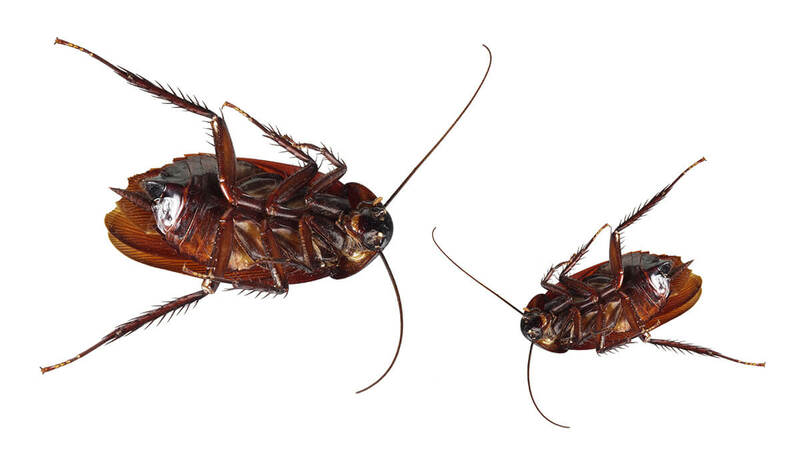 In extreme cases, cockroach carcasses let out an oily or musty odor that can be seen or smelt around the house. Oothecae, oval-shaped egg cases, can be found behind furniture or other hidden locations around your home. Cockroaches produce a protein in their saliva, feces and shed body parts that trigger allergies and asthma attacks. Crush the leaves into a powder and sprinkle in areas where the roaches are present. To prevent them from coming back you must make sure to eliminate food sources left in a trash bin, crumbs on the floor, honey left on a countertop, etc. As I stated above cockroaches love food and will be attracted to almost anything they can find. Although it is more difficult, the same goes for water sources – fix a leaking faucet, repair sweating pipes, dry the bathroom after showering, etc. All these actions can significantly reduce your risk of a cockroach infestation. If you need to take more drastic prevention measures, you should eliminate roach hiding places and exclude them from entering your home. You can do this by sealing off indoor and outdoor cracks with caulk, cleaning or upgrading window frames and screens, spraying insecticide every 60 to 90 days, etc.